Just after 01:00 we passed Isla Flores. With a fair wind and good forecast I decided to continue on to Puerto Sauce. It helped that regular forecasts were available via internet on my phone. 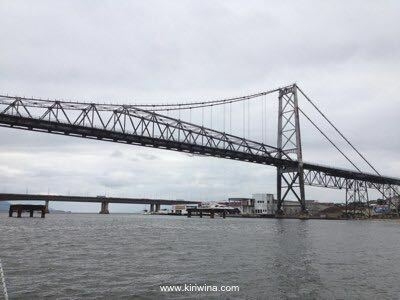 We crossed Montevideo ship canal (km 6) at 04:30. The wind was up to F5 but stayed north. Choppy seas developed. With daylight we were again in the brown waters of the River Plate. Last time we were here was in November 2010. 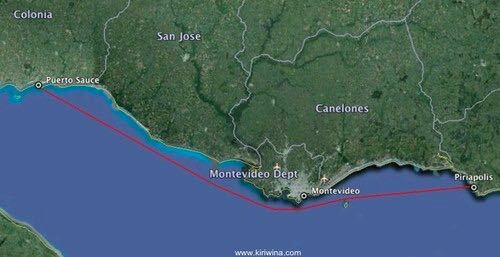 No real change throughout the morning as we made good progress past Montevideo and turned NE towards Puerto Sauce. Noon Run: 74.1 miles. To go: 40 miles. From noon the wind started to die away. By 16:00 it was again mirror calm. Sunset on the River Plate just before 18:00. At 20:00 a light northerly again appeared as we continued to motor. Just before 22:00 we rounded the outer breakwater and entered Puerto Sauce. A quick circle of the harbour confirmed that all buoys were occupied. Finally at 22:30 we were all fast on the dock alongside a bigger yacht and old friend, Cabo de Horno. Trip 116.4 miles. Duration 29 Hours. First job today was to get the rudder mounted. This is a very simple job ashore but a tad more difficult with the boat in the water. The rudder is very buoyant and can be floated into position. Thereafter it has to be weighed down, I use a bucket filled with chain, supported from the top and jiggled into position. It wouldn’t go. In the end I had to remove the upper pintle then take a swim and dive down to ensure the heel was seated properly. Finally it seated properly. Then with the pintle back in place and the tiller bolted on we were good to go. It was now 14:00. The weather forecast from Dirección Nacional de Meteorología was as follows. Vientos: NW y N fuerza 4/5.Nubosidad y fenómenos asociados: algo nuboso y nuboso. Olas: Zona W: 0.5 m. Zona E: 1.0 – 1.5 m.
Tendencia próximas 48 horas: vientos: NW rotando al SW fuerza 4/6. Nubosidad y fenómenos asociados: nuboso a cubierto con precipitaciones aisladas y probables tormentas aisladas. This was just fine as long as the wind stayed more or less north. The further it backed NW and W the less I would enjoy the trip. It is around 25-30 hours to Puerto Sauce. There being no reason to stay in Piriapolis I decided to leave and if the weather worsened there was the option to nip into Montevideo. My mooring bill for 47 days was £360. The office staff were as helpful as ever. This time refusing to print an invoice for review before payment. Piriapolis is one of the better marinas in Uruguay but its unpleasant customer experience make it a place to be avoided if possible. Next stop was the Prefectura to clear out. On clearing in my details were noted. Nothing else was requested. Now copies of all my documents were required and, no, they would not make copies. I was expected to go into town and obtain the required copies. This despite all documents being on file from a previous visit. As it happened I was going into town anyway to top up on stores and completed clearance on the way back. On board it was mirror calm making it easy to squeeze out of berth #50. 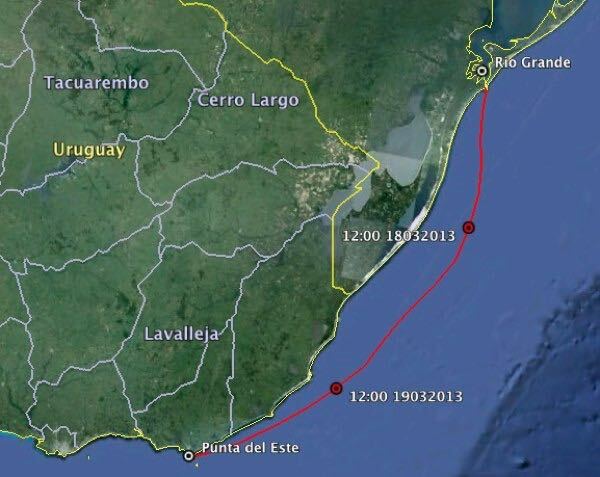 Piriapolis harbour was cleared at 17:30 and course was set to pass north of Isla Flores. 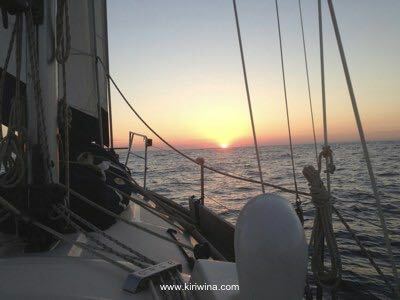 It remained calm until 23:00 when a light northerly developed enabling us to motor sail. 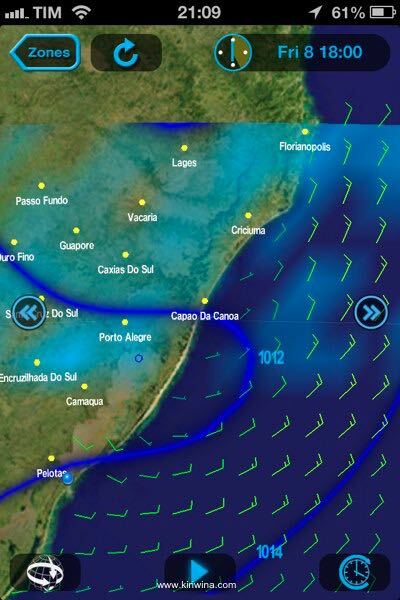 Conditions remained stable from midnight and the sea and swell eased as we closed the coast of Uruguay. It was a sleigh ride down to Punta del Este where we rounded Bajo del Este buoy at 06:07. 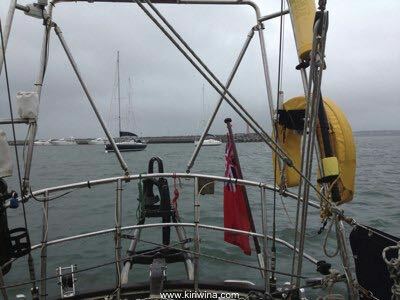 At 07:00 we were all fast on Buoy #526 at Punta del Este. Distance from Rio Grande, 256.8 miles. Average speed 3.88 knots. The weather then deteriorated with frequent squalls and heavy rain at times. Outer breakwater at Punta Del Este. Only a few outer buoys remained vacant. We decided not to go ashore and had a good sleep. Later we ate our fresh Swordfish steaks. Very nice. 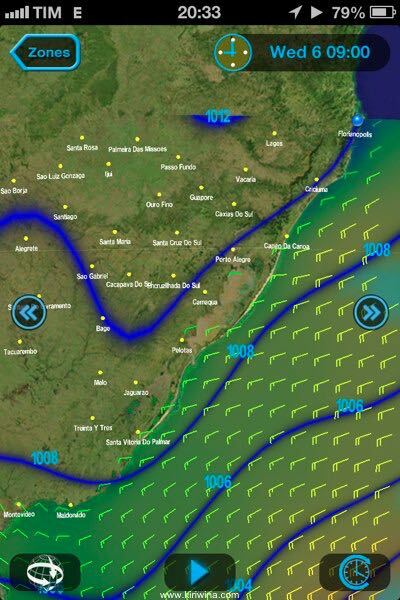 Winds increased to F5-6 overnight with rough seas and a big swell. 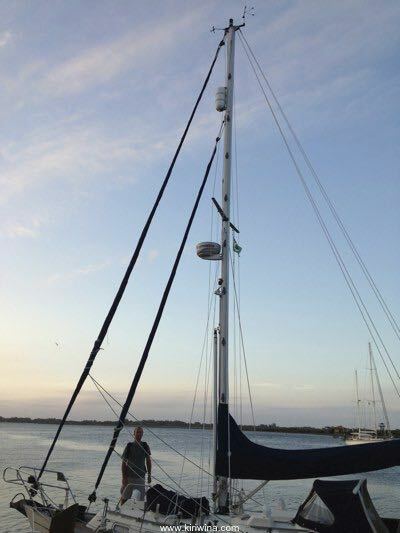 The yankee was furled and we made good progress under main (3 reefs) and staysail. Seas were fine on the port quarter but the Aries steered well. As noon approached winds were gusting to 30 knots at times. Noon run: 100.02 miles. Punta del Este 80 miles. La Paloma 32 miles. Robust conditions continued through the afternoon and evening with clear skies appearing at times. La Paloma lighthouse was abeam to port at 19:30. Overnight the seas roughened as the wind increased to ESE F6. Noon run from berth 76.08 miles. Punta del Este 193 miles. During the afternoon the wind backed to the east and eased to F4. 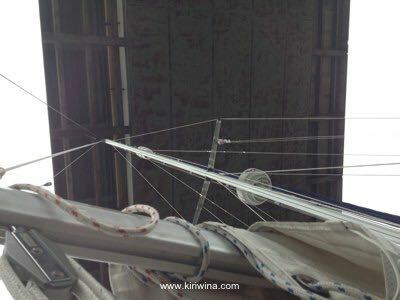 We made good progress under main (3 reefs), ½ yankee and staysail. Andre caught a Brazilian swordfish with his trailing line. 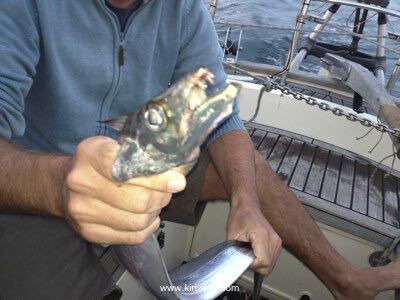 A vicious looking thing that had us hopping about the cockpit when it wriggled off the hook. No change during the evening as we made good progress with the wind on the port quarter. We left Museo Oceanografico at 10:00. The wind was SSE F3 but was forecast to back to the east. With no sign of a change in the wind we anchored inside the breakwater at 13:15. 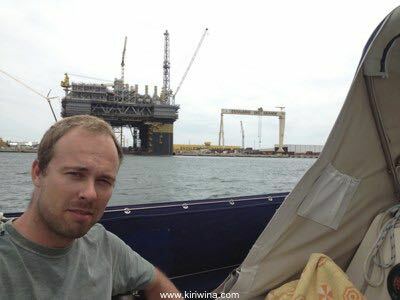 At 16:00 the wind appeared to be backing eastwards so we weighed anchor and cleared Rio Grande breakwater at 17:05. 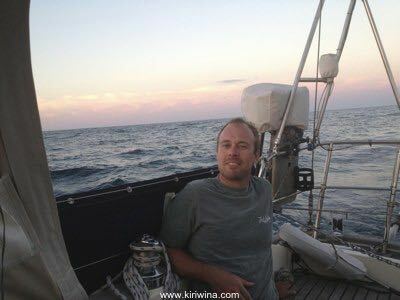 We were able to hold a course of 185º T for the rest of the evening sailing under main (3 reefs), ⅓ yankee and staysail. Moderate to rough seas with a moderate swell. Boat motion was uncomfortable. 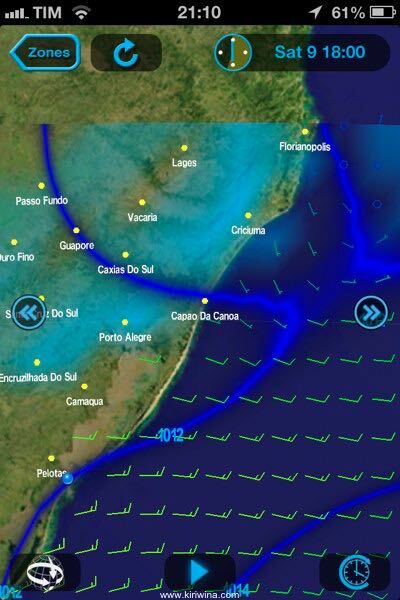 In the early hours the wind continued to back as we motor sailed towards Rio Grande. 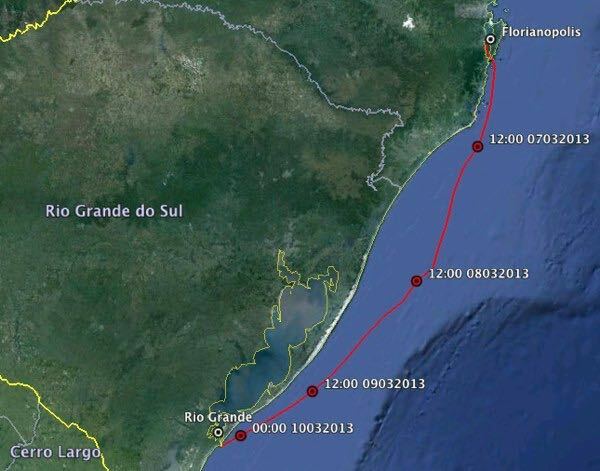 At 03:30 we entered Rio Grande breakwater and at 04:15 anchored where designated to the east of the big ship channel. Passage distance 362.1 miles. 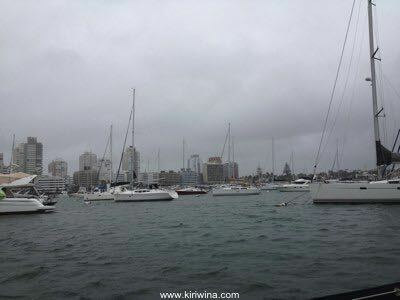 Bar 1001, light rain with wind WNW 15 knots. After a comfortable sleep we weighed anchor at 10:45 and proceed inbound. The wind was now WNW F6. Passing the shipyard at 12:23. All fast at the Museo Oceanografico dock at 14:10. Our concern was justified. Southerly winds are forecast for the next week. No change during the early hours as we continued motoring under clear skies with a slight sea and swell. Just after 07:00 we had a brief spurt of wind. NNE 4, but it didn't last long. At noon the wind was still NNE at F1-2. We continued to motor in slight seas with a moderating swell. We had expected a bit more wind from the east. Noon run 102.8 miles. Rio Grande entrance 72 miles. Conditions during the afternoon were quite pleasant with a lovely sunset and stunning evening sky. Later in the evening the wind backed to N and increased to F4. We interpreted this as confirmation that headwinds were on the way within a day or so. Conditions remained the same overnight as we made good progress in rough seas. 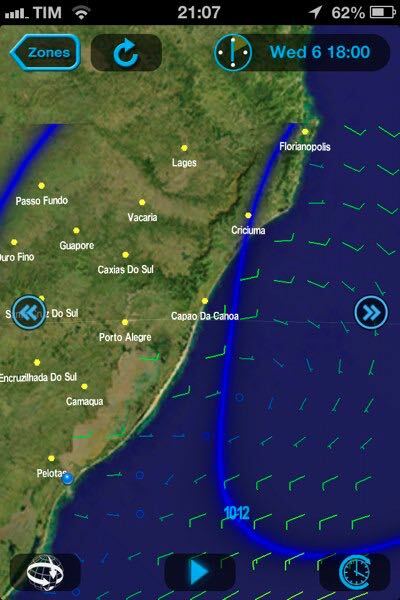 We passed the latitude of Porto Alegre at 04:00. During the morning the wind eased to NE 4 and the seas moderated. We again poled out the yankee. By 11:00 the wind had dropped to NE ½ and we reluctantly put the motor on. 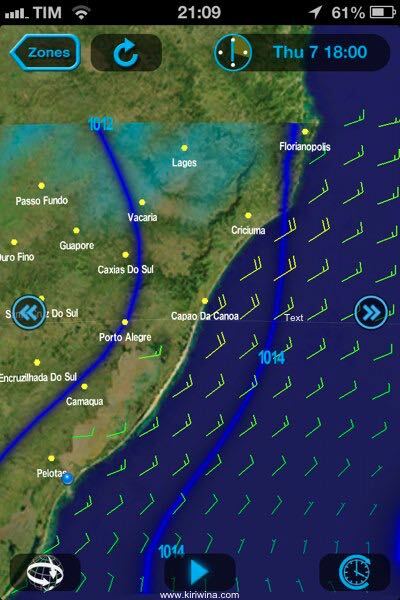 Our weather window was not large and we faced the possibility of headwinds if we did not reach Rio Grande by Sunday. Noon Run 104.84 miles. Rio Grande Entrance 180 miles. Conditions remained the same as we continued under motor. 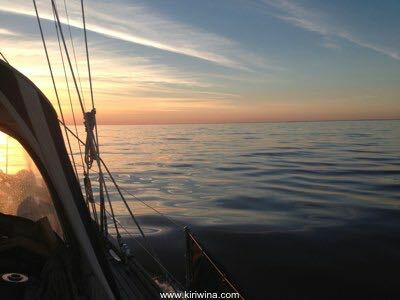 Overnight we continued motoring in almost calm conditions as the forecast wind NE did not appear. At 08:00 Cabo Santa Marta was around 10 miles to starboard. A light NE wind provided some extra power as we continued motoring. Conditions were settled but a slight swell threw the boat a boat a bit. A bit later the wind increased to NE 4 and we continued under main and poled out yankee. Noon run 79.36 miles (21 hours). Rio Grande Entrance 270 miles. The wind was now more or less as forecast though a tad stronger. By 20:00 the wind was NE 5 with rough seas and moderate swell. We proceeded under main with 3 reefs, staysail and ⅓ yankee. Boat motion was uncomfortable at times and Andre suffered mild sea sickness at times. Our plan was to sail on the mid afternoon tide. Conditions were calm with a NE wind forecast to develop during the afternoon. My first job was to give the dinghy a good scrub and rinse. It took a while as barnacles from San Antonio were well established in places. Thereafter I checked oil levels and belt tension and we were pretty much good to go. 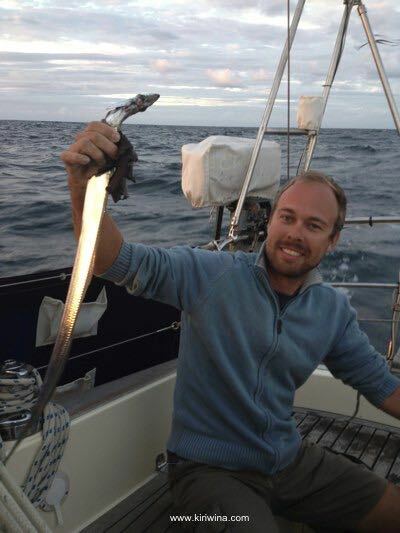 I collected Andre at 14:00 and after stowing the dinghy we weighed anchor at 15:00 in light variable winds. Clearing the bridges southbound at 15:20. As we approached Punta Dos Naufragados and Canal Sur leading to the open sea breakers were clearly on the rocks to starboard. Canal Sur is benign in settled conditions but when an ebb tide meets southerly waves or swell conditions can become very violent. In the event our passage was calm and uneventful. We cleared Punta Dos Naufragados at 19:40 just after dark. Andre was on the phone to an experienced local sailor who recommended proceeding east to an offlying island before turning south. Absent any wind we continued motoring in slight seas and swell.